Welcome back to my food channel! 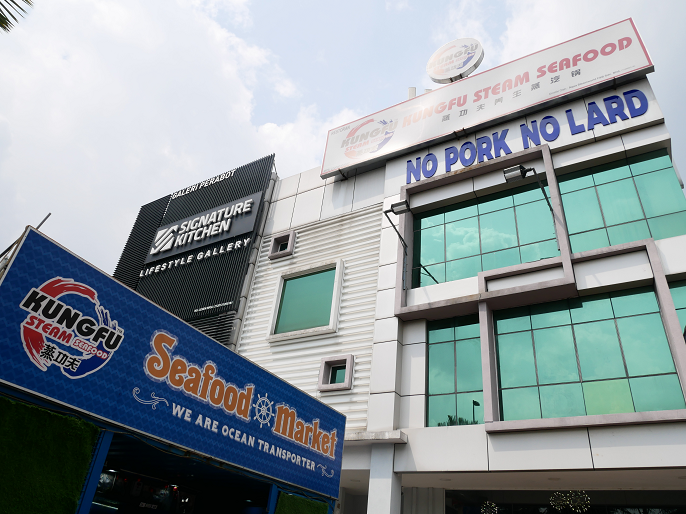 Do you still remember about the Kungfu Steam Seafood 蒸功夫 I blogged in last year? 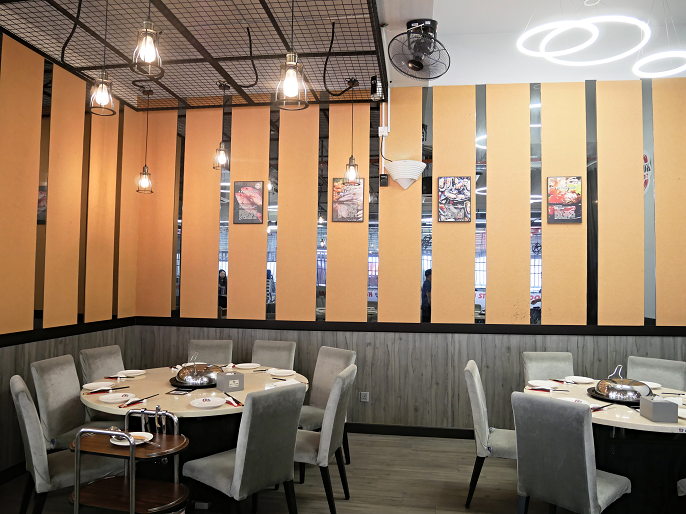 Kungfu Steam Seafood is all about having the freshest ingredients steamed on your table, which is also the best way to taste the natural flavours of all kinds of seafood. 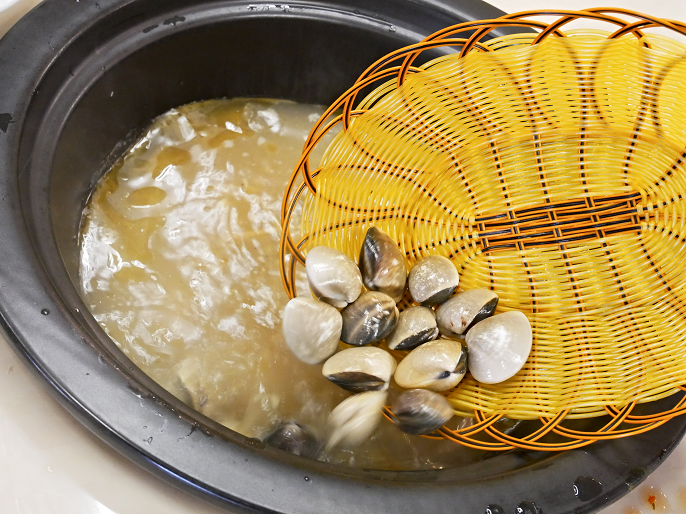 The concept is pretty similar to steamboat, but instead of boiling the food, everything is steamed under a special steamer appliance with digital control on each table. 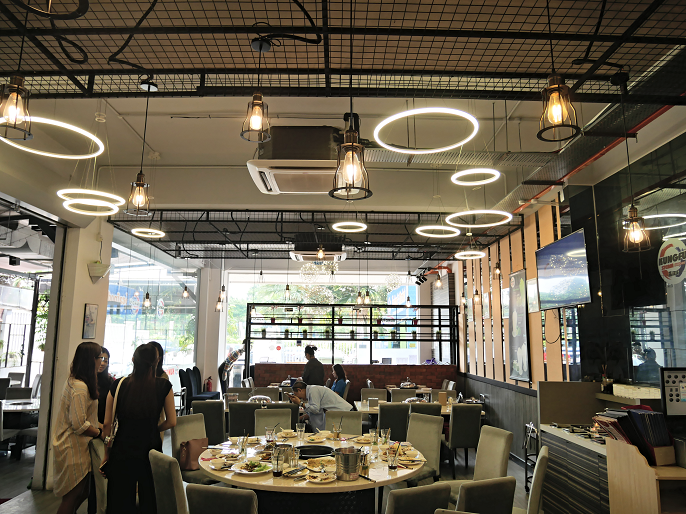 On the last weekend, I went back to Kungfu Steam Seafood to taste a number of amazing new main dishes that they just launched recently. Ready to check it out?! Jom, let's go! 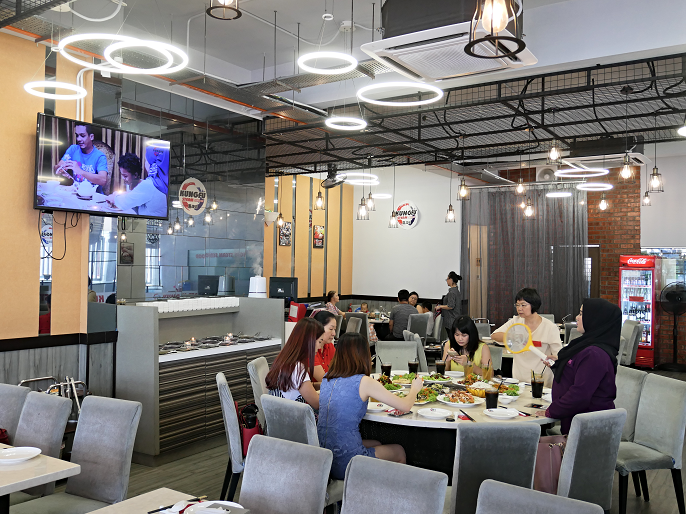 It's not hard to locate the restaurant as it is located at a three-storey shop lot at The Cube, Bandar Puteri Puchong. It is a convenient location with ample parking space in the evening and also during the weekend. The restaurant has a comfortable ambiance in the main dining area. There are also some private dining rooms that available at the first floor with minimum spending requirements. If you come here with your kids, there is a children's playground where you can put them to play around while you enjoy your meal at the restaurant. You can check out more pictures about the first floor in my previous post. Sweet & Sour Chicken @ RM29.80 is surely one of my favourite dish to order at any Chinese restaurants. It is certainly a tasty dish all by itself or you can also pair it with a bowl of white rice or Chinese noodles for balance. The chicken is moist and tender on the inside,and also a nice mellow crunch when you have a bite on it. Love the sauce very much because it is not overly sweet which able to bring out the natural sweetness of the onions and peppers perfectly. Deep-Fried Oatmeal Prawn with Salad @ RM47.80 is slightly different with the other oatmeal prawns I tried before. 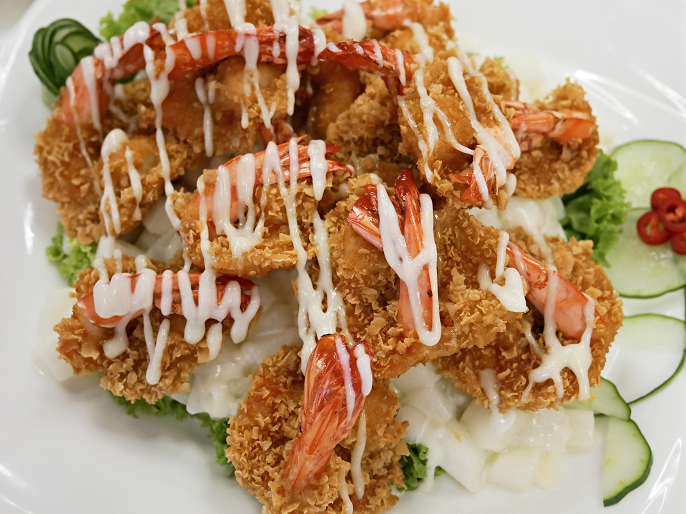 For this dish, each prawns were coated in a crispy shell of rolled oats, and served with a generous drizzle of mayonnaise sauce. I find it is best make for either a delicious simple finger food or be part of a larger meal. 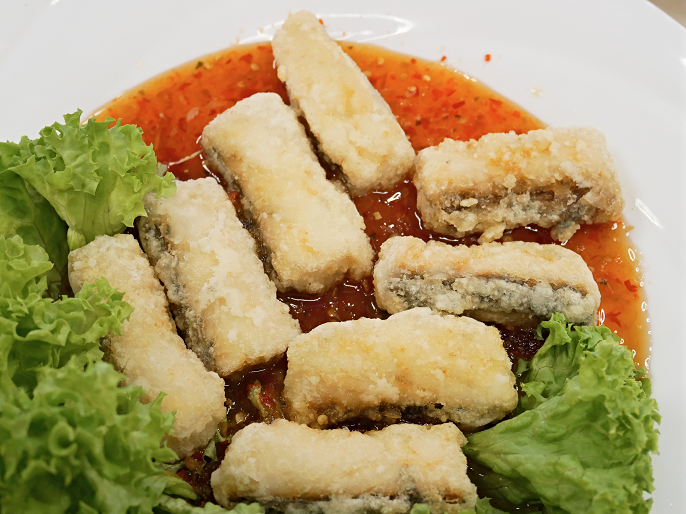 Deep-Fried Fish Fillet with Thai Chili Sauce @ RM28.80, is such a tasty Thai dish that the fish fillet was fried until crispy, and then covered with a sweet spicy sauce that made from garlic, sugar and chilies. 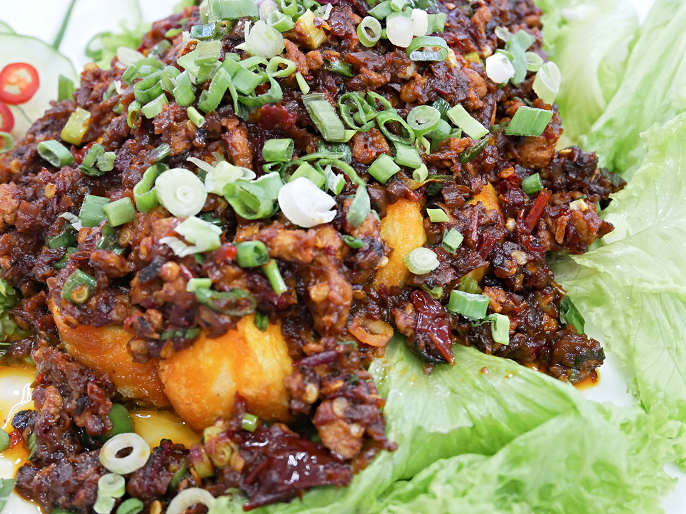 Minced Chicken with Egg Tofu @ RM14.80, is a delicious combination of the moist and nicely seasoned minced meat, with the pan-fried egg tofu. Though the whole dish wasn't fully saucy wet, the flavours were evenly balanced in between all the ingredients and it is so tasty! 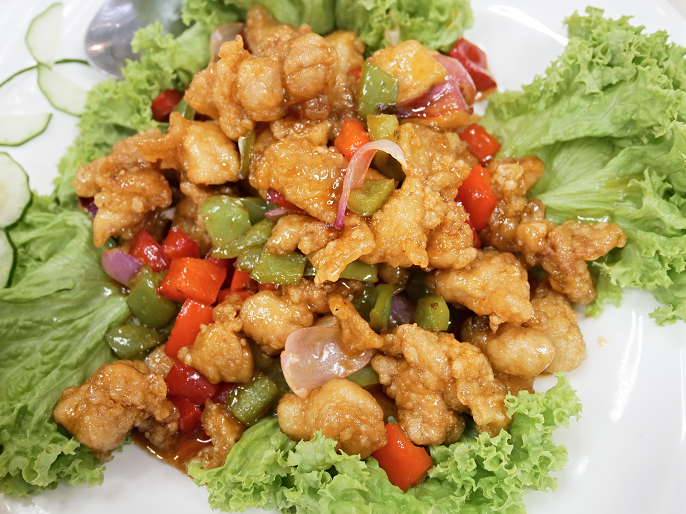 Get some spice with the Kung Pao Chicken @ RM29.80 which packed with full of spice and flavour! 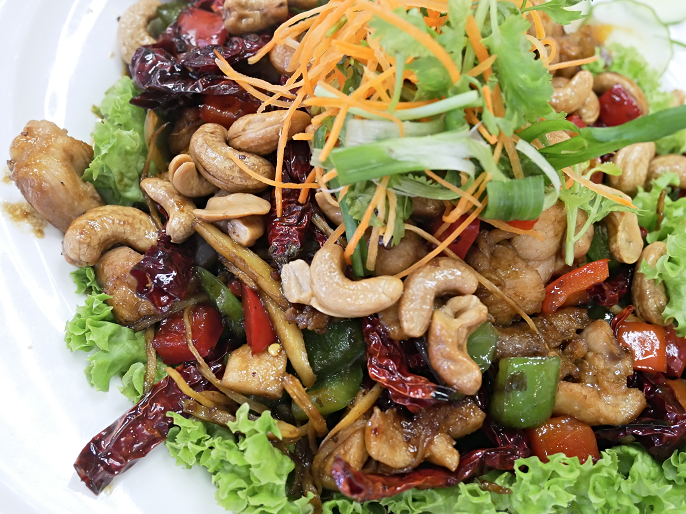 The dish is a spicy stir-fried dish that made with diced chicken breast, cashew nuts, vegetables, chili peppers, and dried chilies. 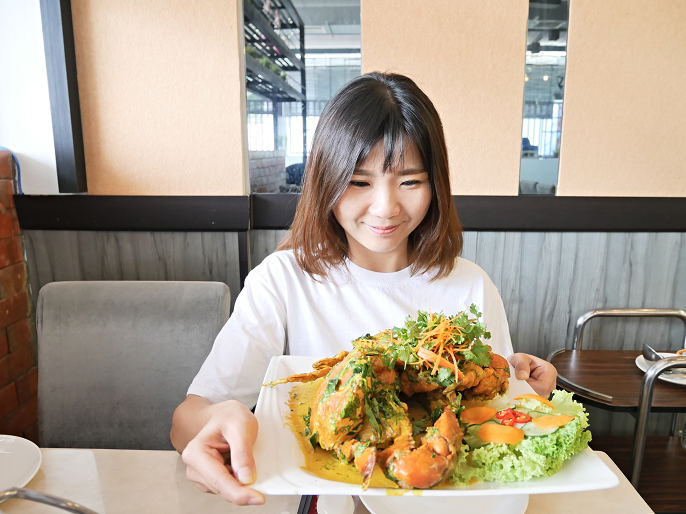 Live Tiger Prawn in Kam Heong Sauce @ 47.80 (300gram) is a complete kam heong dish that made of curry leaves and dried prawns. If you want something spicy to stimulate your appetizer, this dish will surely spice up your lunch or dinner with it's amazing spiciness! 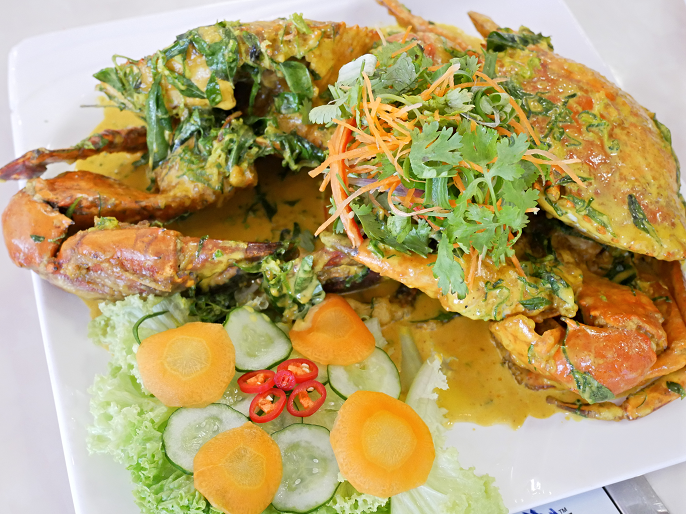 Premium Mud Crab in Butter Milk Sauce @ RM Seasonal price with minimum 2 pcs + RM10 each sauce is for all the crab lovers! The whole dish is prepared with sweet sauce, butter gravy, evaporated milk, and curry leaves. The crabs are super fresh, juicy and with loads of umami! Fried Seafood Ramen @ RM16.80 is my new favourite noodle dish at the restaurant. 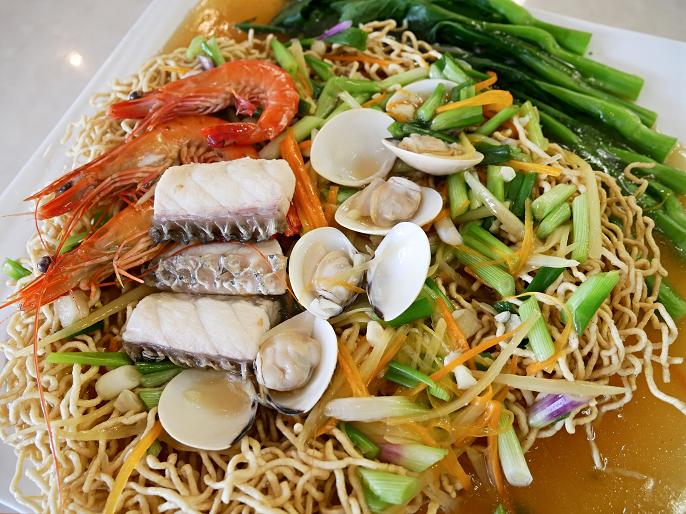 The ramen comes with an abundance of seafood varieties of clams, fish fillets, and prawns. This dish is only available for lunch and the actual portion indeed smaller than this picture as this portion has been made bigger for us due to the amount of people we came. The actual portion for lunch is just nice for 1 person. Steamed Live Patin Fish @ RM9.80 (100gram), is one of my must-order dishes when I go to Kungfu Steam Seafood. 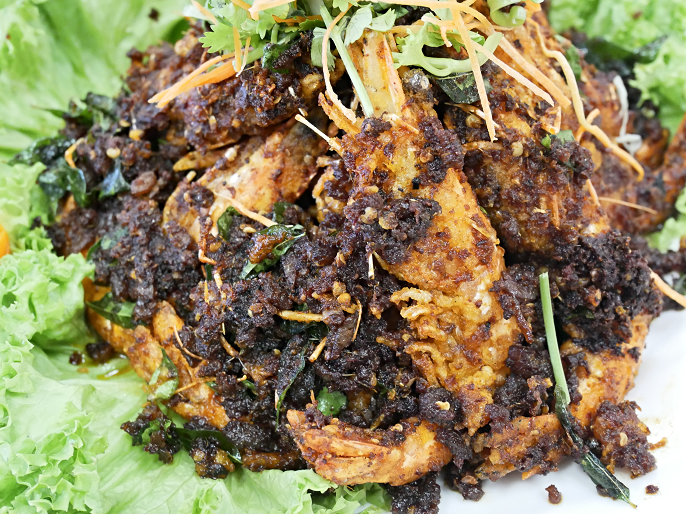 It's a simple dish that prepared with soya sauce and shredded ginger, and the fish was utterly fresh and sweet-fleshed! 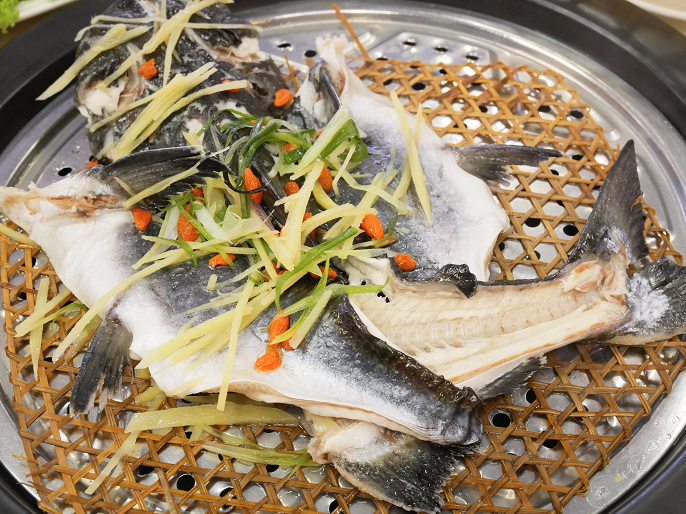 There are also other fish choices such as King Tiger Grouper, Marble Goby, Jade Perch. Red Snapper Leopard Coral Grouper etc for your steamed fish choices. During my first time visit, I had their highlight dish of the nutrition nourishment porridge which gathered the authentic tastes of all the fresh ingredients after all the steaming where finished. 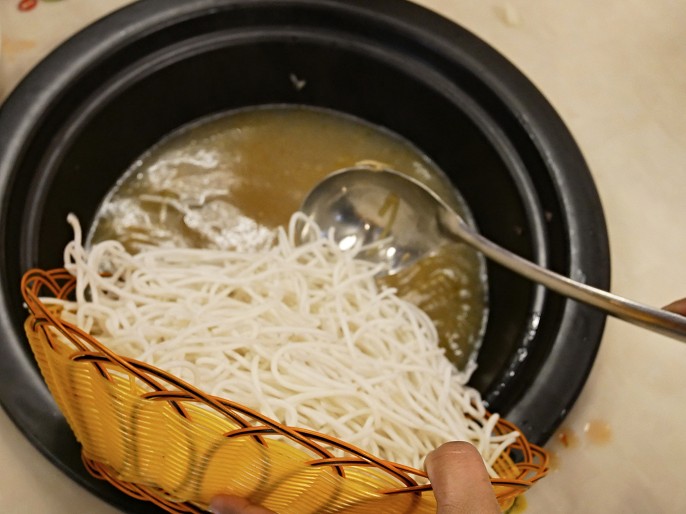 And for this time, instead of bubbling porridge, they have the rice noodle to give customers' choices. Super love the delicious full flavoured soup after added Live Clam with Ginger Spring Onion @ RM34.80 (500gram) and Superior Soup Clam with Rice Noodle @ RM40.80, as well as other ingredients of gingers, spring onions, and Shaoxing wine. The soup is so clear and sweet! 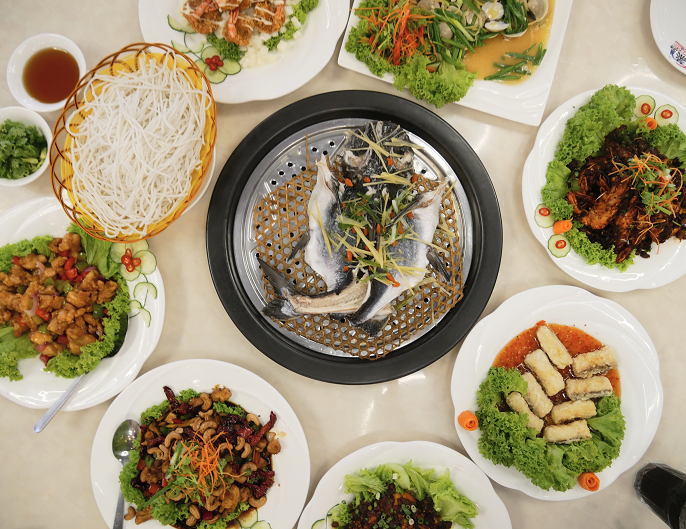 In addition, Kungfu Steam Seafood also comes out the Daily Lunch Sets which available from 11.30am till 2.30pm. All sets come with steamed rice, double-boiled soup of the day and one drink of the day. 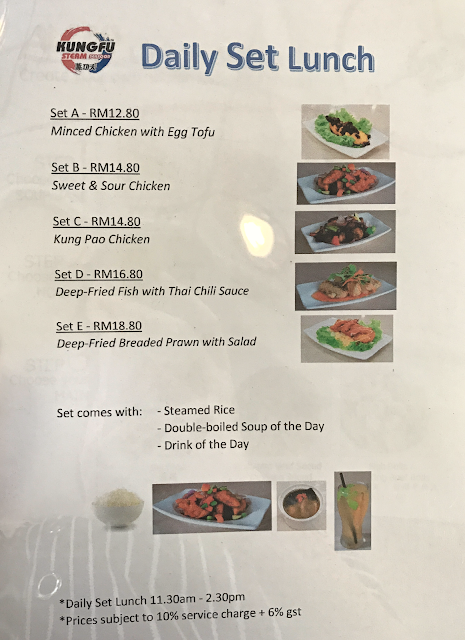 Only 5 dishes are avaiable for set lunch such as Minced Chicken with Egg Tofu @ RM12.80, Sweet & Sour Chicken @ RM14.80, Kung Pao Chicken @ RM14.80, Deep-Fried Fish Fillet with Thai Chili Sauce @ RM16.80, and Deep-Fried Oatmeal Prawn with Salad @ RM18.80. Kungfu Steam Seafood 蒸功夫 is one of the favourite restaurants for my family's gathering. Not only it has a lovely pleasant ambiance, the food quality is very good too. I brought my whole family to the restaurant after my first visit, and I'm glad to know that they enjoyed the food so much there. My mum said the seafood are very fresh and delicious!